"Book Briefs" are an ongoing series of posts with two- or three-sentence first-hand descriptions of some of the numerous books that make their way into my library. These briefs are not full-blown reviews, but they are a way to share more worthwhile books than I'm able to review. In the introduction to Spirits, O'Donnell and her fellow editors assert the issue "examines a range of spirits haunting architecture today." Colin Rowe, who taught at Cornell for much of his life, must be one of those spirits, for the editors find phantoms in his writings, occupying the realm between buildings and the interaction or people "reading" them. Heady stuff but a great starting point for a mélange of essays on the theme of spirits, ranging from data and the Anthropocene, to Louis Sullivan and meloncholia in cities, to haunted houses and the uncanny in Gothic romance novels. And what would a journal called Spirits be without an essay on The Shining's Overlook Hotel? It goes without saying that the output of the Harvard GSD is voluminous. So when it comes time to assemble some of it into a year-end document to share with the world outside of Cambridge, Massachusetts, the ways of organizing the information are extremely important. And given that we're talking about architecture, each Platform cannot repeat its predecessors. Last year the editors organized the student projects, faculty information, guest lecturers, exhibitions, and so forth like an index, so it resembled a dictionary or encyclopedia. This year the projects and other materials are presented in "compositional groupings" based on still lifes of primarily models, with chapters like "Form Ruckus," "Glam Craft," and "Hold the Color." Given that not all of the student projects on display in the still lifes are presented in detail in the pages that follow, it's too bad these pages were not made into gatefolds or small posters so the overlooked projects were larger on the page. Unlike architecture, which has a plethora of journals devoted to the field, landscape architecture could use more of them, particularly since the profession is one of the few with the ability to deal with this century pressing ecological problems. Kerb, "an annual cross-disciplinary design publication produced by the RMIT University School of Architecture and Design," is one of the few journals devoted to landscapes, one I've appreciated since discovering their 16th issue, on "future cities," when I was in grad school. Their 23rd issue tackles "digital landscapes," which I take as a focus on the tools that landscape architects use to not only design landscapes but also understand the ecologies that their designs are a part of. No profession today is free from the digital realm, even something as earthbound as landscape architecture. 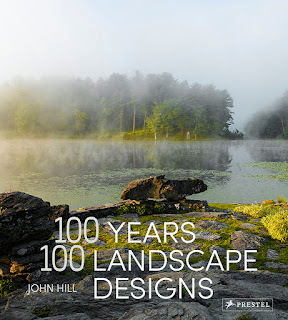 Nevertheless, how digital tools are used in landscape design is up for debate, as evidenced by at least a few essays and projects in the pages of this issue. As in all of its other issues, number 28 of MAS Context is geared around a one-word theme. Hidden asked contributors to explore things not readily visible, be it tunnels and other infrastructural elements, spaces where people can hide from authorities, lives lived outside of the everyday realm, or even hidden tracks on records and CDs. The acts of revealing the hidden in the issue come across primarily visually, with only the occasional text-based essay; most contributions are photo essays, with a few architectural projects thrown in for good measure. Standing out on red pages near the middle of the book is a highlight: Sergio Lopez-Pineiro's "Archipelagos of Detritus," which presents a wide variety of leftover spaces, from highway interchanges and crawl spaces to those "virtual" disk fragments that build up over time on computer hard drives. One of the best parts of the inaugural Chicago Architecture Biennial in 2015 was BOLD: Alternative Scenarios for Chicago, which I described as an "exhibition within an exhibition." Although Chicago was host to the Biennial (and will be again later this year for the second go-around), many of the participants were from outside the city. 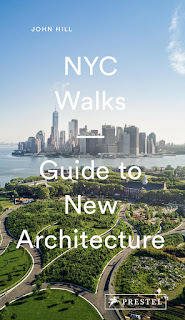 But Iker Gil's BOLD exhibition focused purely on local talent, with projects by such familiar names as Stanley Tigerman, Margaret McCurry, Helmut Jahn, and Krueck + Sexton, as well as studios, such as UrbanLab, PORT Urbanism, Weathers, and Design With Company, which are making marks inside and outside the city. While I was fortunate enough to visit the inaugural Biennial, many people were not, so this special issue of MAS Context is very welcome. It's also beautiful, with some of the journal's best graphic design (which is saying a lot) and big images of the various speculative projects. Like other MAS Context issues, a free PDF is available, but I recommend ordering one of the limited-edition printed copies for the full effect. The seventh issue of New Geographies, the journal of the doctoral New Geographies Lab at Harvard GSD, would go nicely with the above issue of Kerb. Just as digital information and data flows impact landscape architecture, they are integral to our understanding of geography, in both physical and virtual spaces. Geographies of Information touches on just about every digital aspect affecting places: data centers and other physical network infrastructures (both contemporary and historical); the oft-buzzed-about big data, smart cities and internet of things; surveillance; representation through digital technologies; and social aspects of digital technologies. Familiar experts (familiar to me, at least) are found in these pages, including Stephen Graham (on data centers), Adam Greenfield (on Uber) and Kazys Varnelis (on historical networks). They are part of an ambitious issue that reveals the how the production of space works in a world driven by information and its communication.